Are you ready to become one of the most powerful snakes ever – a king Anaconda? Of course you are! Snakes are one of the most beautiful and strong animals. In this game you will play for one of the Snake. 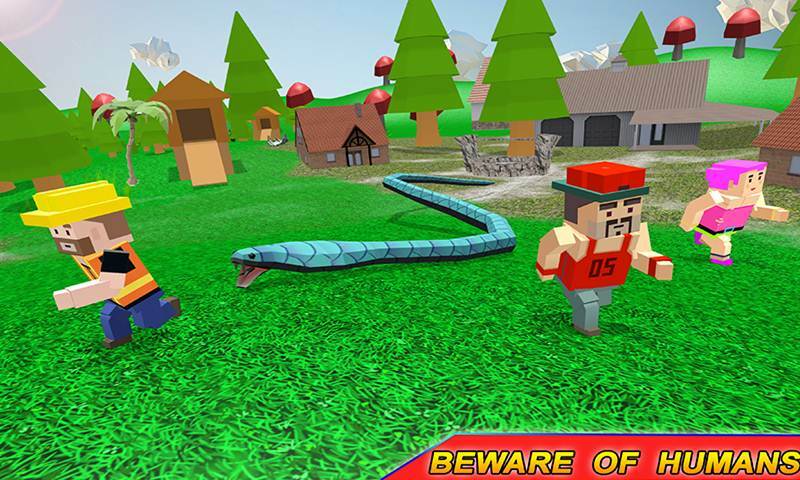 You can create a large family of Snakes, travel the open world and perform various tasks. Enter a tropical fantasy forest and live the life of a Largest Snake! Explore a lush fantasy jungle filled with ferocious cartoonist animals as well as insects of all shapes and sizes. This mighty beast is ready to attack with Anaconda Snake Family Simulator. 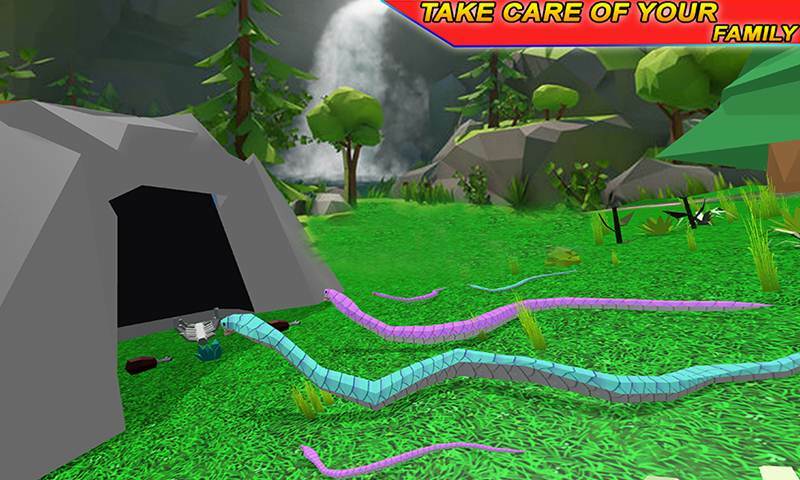 Become a wild snake in the jungle simulator! 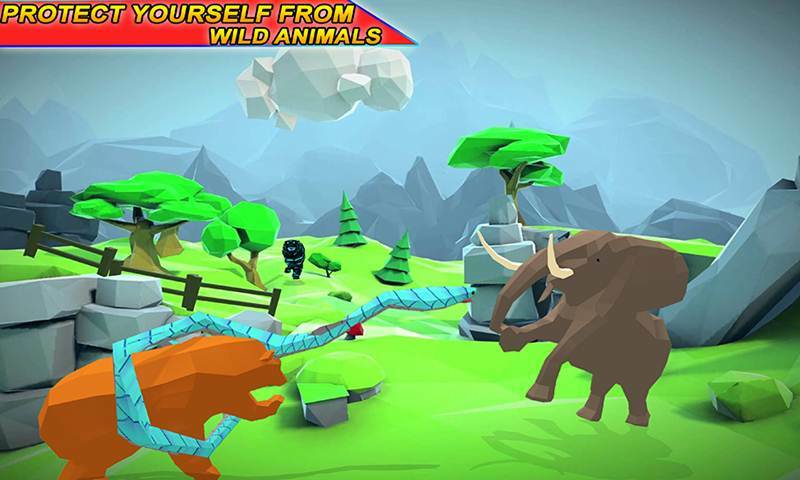 The forest is full of dangers – wild ferocious animals are everywhere! 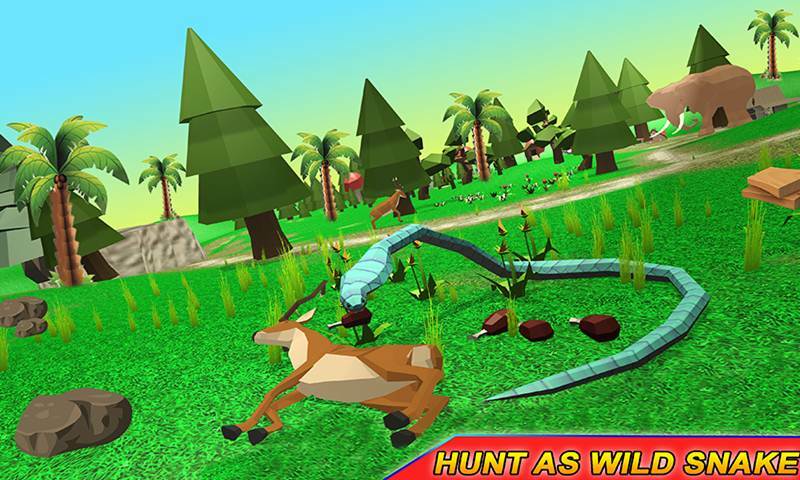 Fight against them, hunt for smaller ones, and enjoy the life of an Anaconda Snake in fantasy jungle. Realistic fantasy animals animations and thrilling missions are made Anaconda Snake Family Simulator interesting as well as entertaining. Thirsty Tiger, Amazing Bear or Elephant and get her back to your cave. You will need to destroy any human village or settlement nearby coz they can destroy your clan or even kill you. You will need to destroy their homes and buildings so they can see and get terrified by the powered within you. Some wild Fantasy wolf will feel Jealous of you will try to hurt you badly by killing someone from your family or by kidnapping your mate. You will need to fight for your clan and you will need to lead your clan to battle against the mighty other Animals. 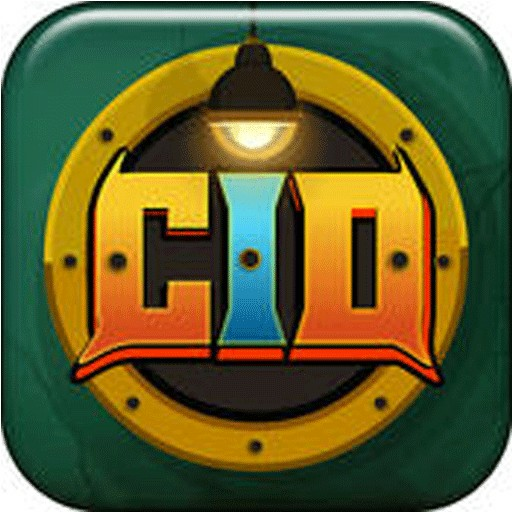 Most important task of this game is to have fun.in this game you can enjoy the open world mode and see around the open environment. Enjoy the game and feel free to move around the cartoonist environment. 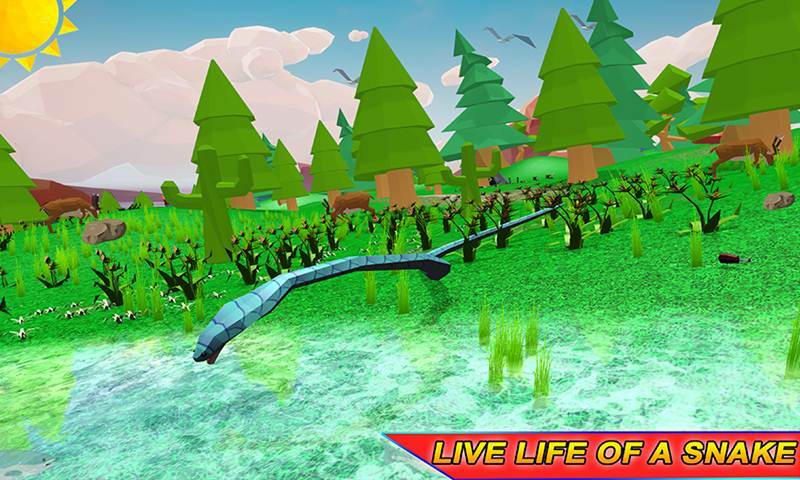 Anaconda Snake Family Simulator is specially designed for all wild anaconda snake fans as well as cartoonic game lovers. 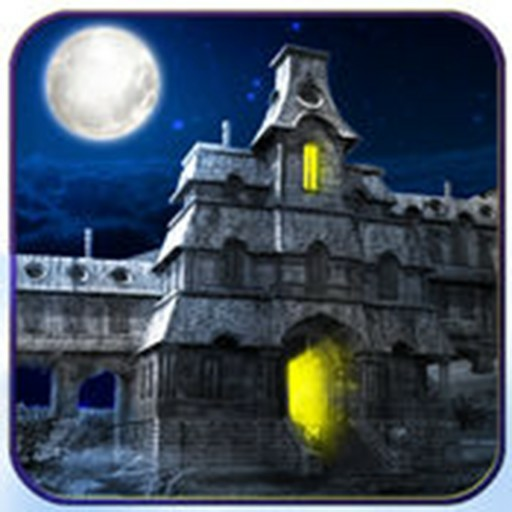 Show your surviving skills and fight with dangerous animals in dark magical jungle. 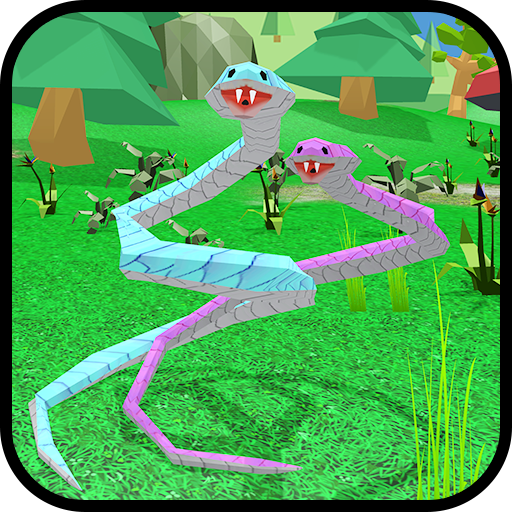 Jungle animals wandering in search of you and family so beware from these jungle creature and survive with your clans in magical land by playing anaconda snake Family Fantasy Land game.